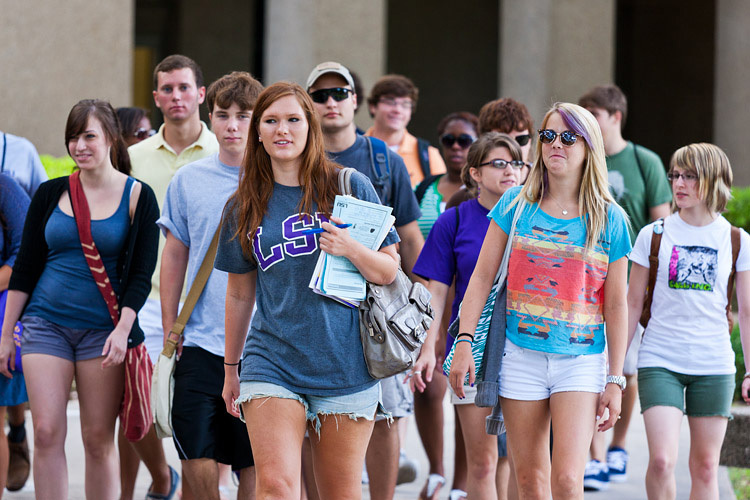 As an incoming freshman, college can seem foreboding, huge, and scary. It can also seem like a fresh start and a new meaning of the word “freedom.” When most freshman actually get to school, they realize that college isn’t scary, and they’re totally equipped to handle the volume of people there, and for the most part, it’s really fun! However, there are still roadblocks once you get to school, which is why we’ve comprised this list of tips to get you through the sticky social challenges of your first year. Whether you love your roommate or hate them, you will, at some point, undoubtedly get into an argument with them. Granted, it probably won’t happen until you’ve been at school for a couple of months and you’re finally comfortable with each other, but comfort hanging out turns into comfort with confrontations, too. Even if you’re moving in with your best friend, it’s hard to live with somebody. You’re constantly around them, and sometimes people just need alone time. Luckily, there are tons of ways to combat occasional annoyances with your roommate! Study in the library instead of your room. Put some sort of pretty fabric in a canopy around your bed to create the façade of alone time, even when they’re in the room. Talk things out calmly, and hear them out if you’re fighting. If it gets bad, turn to your Resident Advisor (RA) to mediate. They’re often trained to do so! Try to be respectful of their space. Even if you’re in the same group of friends, make friends with lots of people so you’re not always together outside of the room, too. College is fun, but you need to keep in mind the fact that you’re not there to party. As much fun as it is to arrive and be swept up in the constant whirlwind of “extracurricular activities,” if you flunk your classes you’ll have a lot more to worry about than missing out on a night of fun to study. Find the right balance of school and fun by forcing yourself to stay in until you’ve finished everything that you need to do for school. Don’t miss class, either. It’s a myth that professors don’t care and that you don’t need to go to class. Every class contains important material that you will need for your final, even if you don’t need it for the paper due in three days. 3. Avoiding the Freshman Fifteen. At night, when you’re studying, eat something healthy, like almonds. Not only do they keep you from gorging on chips or other junk food, but they also give you healthy fats and protein, which help your brain function. Don’t overdo it in the cafeteria. Stop eating when you’re full, and try to stay away from the endless supply of excessively greasy pizza. Healthier food makes you feel better, able to stay up longer, and happier. Don’t order out all the time. Keep your room stocked with a mini fridge, or a small drawer full of snacks. You’ll save money to do fun things, and you won’t end up instigating the call to Dominos at two in the morning with your friends. Keep exercising. Most schools have a gym students can use, and you can always go running around campus, too. Exercise makes you more alert during the day, it helps your brain function, and it releases endorphins, which make you happy! You’ll meet so many people in your first two months that you probably won’t even be able to keep track of all of them, and if you’re going into college single, you may end up liking someone. Many people say not to date for your first year, so that you can make a secure group of friends, and while this is good advice, sometimes the heart just wants what the heart wants. That being said, the possibilities are endless for meeting new people and finding fun places. There are classes, clubs, parties, sporting events, and so many other activities going on where people meet each other that you’re bound to see someone you think is cute. During your first year, it may not be wise to start a serious relationship, but dating is one of the best parts of college, so enjoy it! Just remember: be safe! The guy (or girl) you just met may seem sweet, and freshman year is an especially trusting time. Still, never go anywhere you feel uncomfortable and have your friends watch your back. The best way to meet people your first year is to get involved in activities at school. Some people join sororities and fraternities, but if that’s not your cup of tea, there are plenty of other things for students to do. A common misconception is that you should join every club you think you might be interested in, but that is by no means what you should do. First of all, you could bog yourself down with too much work and time spent on all of your extra activities. Second, you will probably continue to be contacted by the clubs for the rest of the year, even if you stop attending meetings. Instead, you should choose one or two clubs or sports that you’re really interested in, and stick with them. You’ll meet people who are interested in the same things you’re interested in, and if you stick with it, can get some serious resumé-building executive positions come your junior and senior years. All in all, your freshman year will be a blast no matter what. As long as you make sure to maintain a good relationship with your roomie, keep up with your course load, keep eating healthily and exercising, meeting people, and getting involved, you’ll be on the fast track to an incredibly successful college experience!